I have been reading Marina Umashci Bers book Coding as a Playground and so encouraged that concepts that have become evidently important to me in the last couple years are backed up with decades of research and hands-on experiential learning. Coding as a Playgrounds represents the idea that the act of learning to code should become a new literacy for modern children. Bers argues that learning to code is as important as learning your ABCs and 123s. 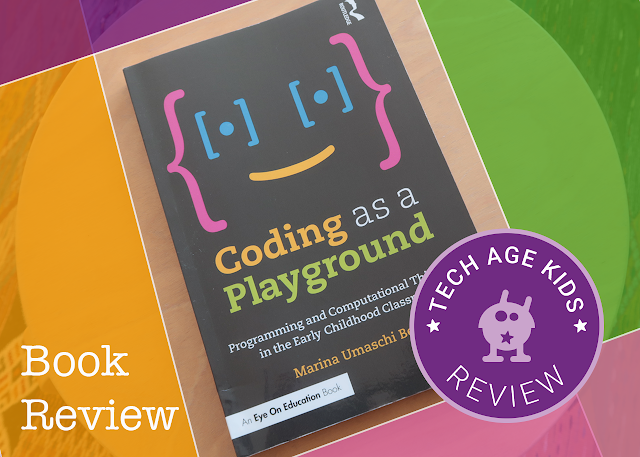 Disclaimer: PR with Panache sent us a copy of Marina Bers' book 'Coding as a Playground' to review on the blog. I have held similar views and it was great to read a text that backs up my opinions with research. If you are a teacher in early years or like me, a parent interested to provide opportunities for your children to learn modern skills, then this book is an interesting read. The book challenges the status quo and encourages the reader to take a step back and look objectively at how and what we teach our children to prepare them for life in a modern world. It states that learning to code in Early Years Childhood should be likened to learning to play in the playground. Children learn through experimentation and self-directed play. We don't set out to teach our children to read or write and encourage them to master those skills because we think they will all become accomplished authors. We know they are useful skills and would provide them with opportunities to function in society. The same can be said of learning how to code. It may seem strange, especially to people not currently involved in a technical role, that there's such a focus on teaching children to programme computers. Technology is advancing at a rapid rate and we're going to need a lot of people that can create, maintain, improve and work alongside technology. 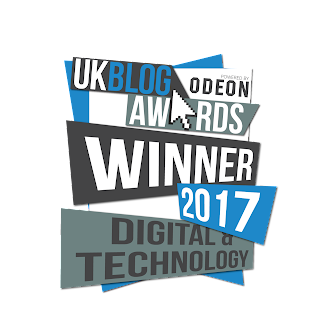 Many countries across the world are recognising this and firmly placed computing and coding in the education curriculum. 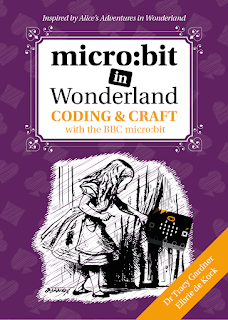 Coding as a Playground goes into a lot of depth exploring coding as a new literacy for modern children to learn from a young age. What Bers in Coding as a Playground is setting out, is a fundamental shift in how we teach coding to children. Coding shouldn't just be taught as a way to solve problems or complete puzzles or tasks. Coding should be integrated into play and become a tool children use to express themselves. Afterall children nowadays don't understand a world without technology. They want to engage with it. Bers and her team have spent many years researching and developing tools to help young children learn coding and computer literacy through play. 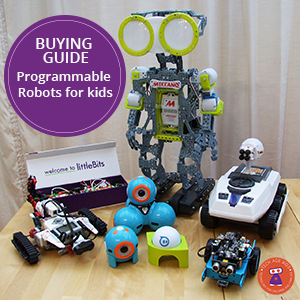 She's part of the team that developed Scratch Jr and a robotic learning kit called KIBO. There are dedicated chapters in the book about these two platforms, providing background and purpose for using these tools in early years education. The book is a great resource if you are considering using these tools at home or in a classroom. If you are nervous about letting your young children use a tablet or explore technology, Coding as a Playground goes some way to explain why it is important that young children learn to code. 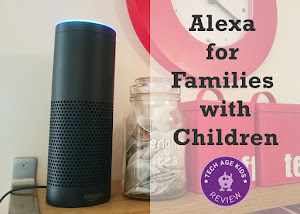 As a non-technical parent, and someone that doesn't come from a computing background, I was keen to learn what all the fuss is about. I am a strong believer that children should have access to learning many different skills, some of which has to be computer-based and coding - because our modern world demands it. What I have found, however, is that in the process of learning computational thinking and coding skills, children also learn other skills, like collaborating, sharing, confidence, logical thinking, creativity and more. What really excited me, was that Bers found the same things, through her research and writes a lot about it in the book. Coding as a Playground walks you through developing these 'other important skills' using a framework called Positive Technological Development. Coding as a Playground is a fantastic resource for early years teachers, backed with decades of research. It has a practical approach to ideas and tools you can implement immediately into your classroom or at home. We know not all schools can offer the same opportunities in teaching computing, design and technology, so we strongly encourage parents to engage with this part of their children's education. There are so many resources and products available, some are free, but many can be prohibitively expensive for cash-strapped and resource-poor schools. We think parents can be part of the solution! This book is essential reading for anyone interested in getting children ready for 21st-century living.